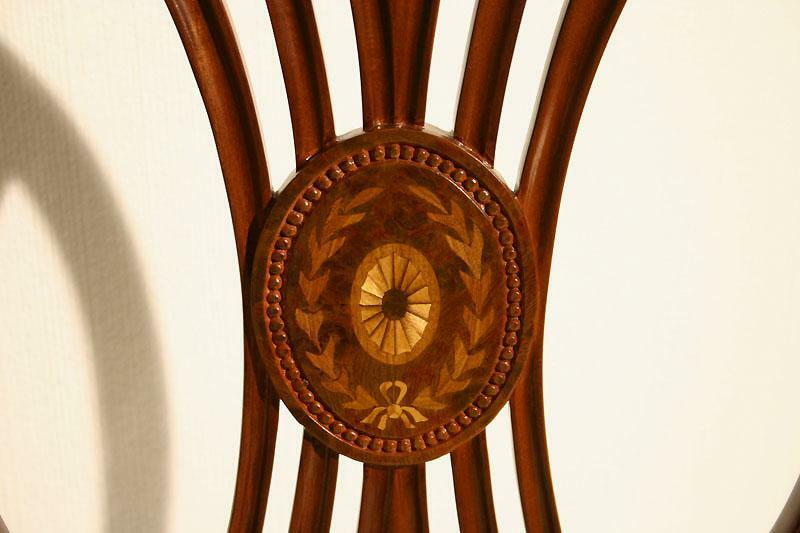 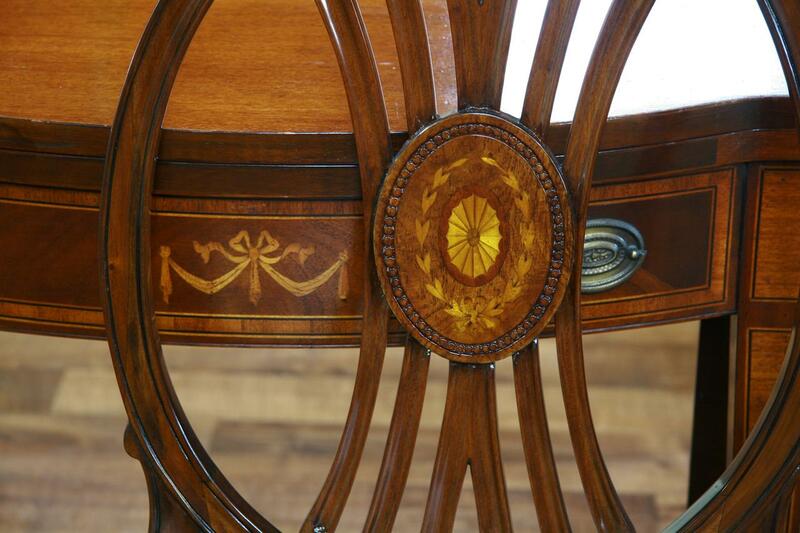 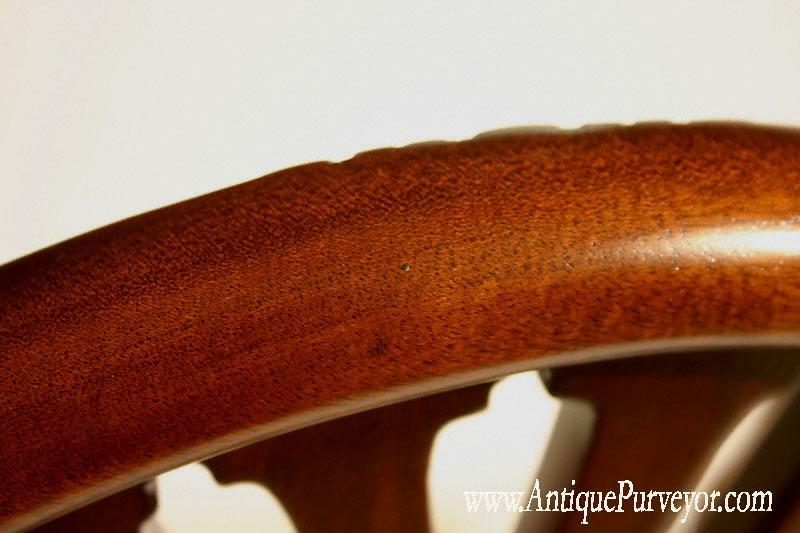 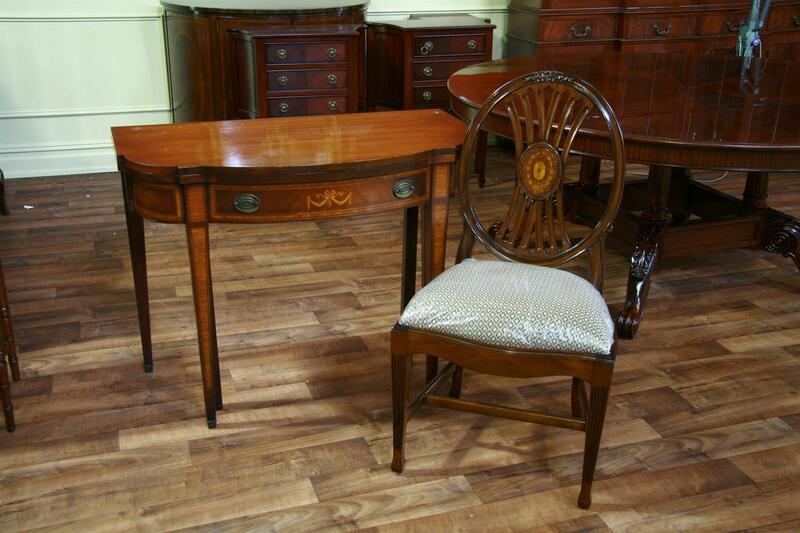 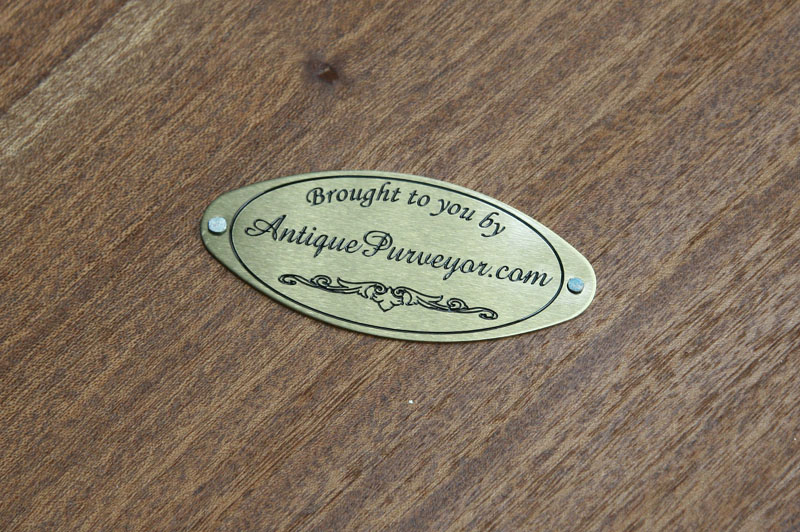 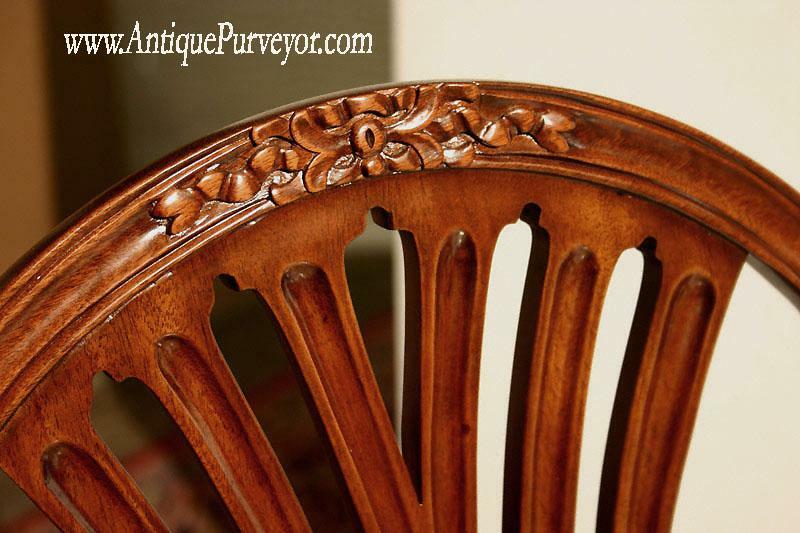 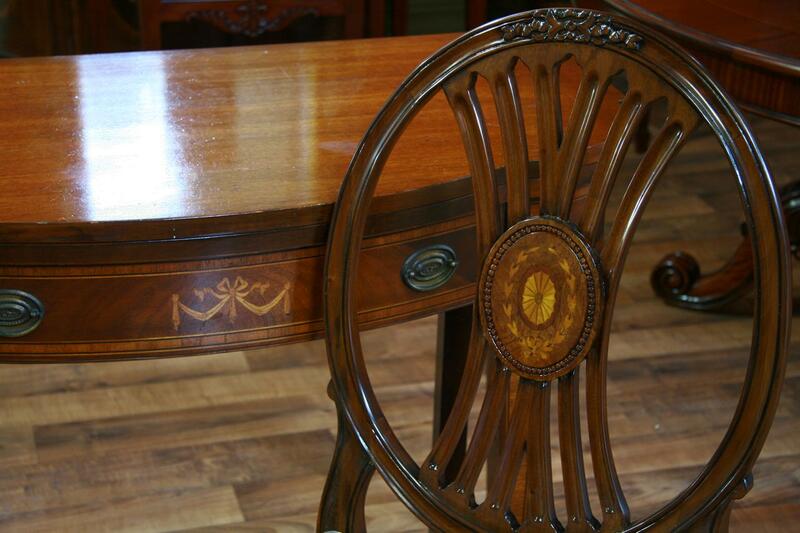 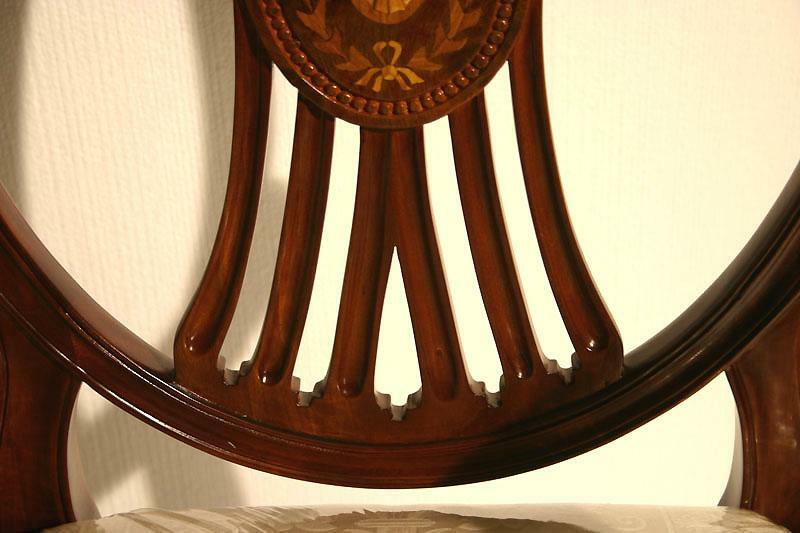 Description: Antique Reproduction dining room chairs with inlay. 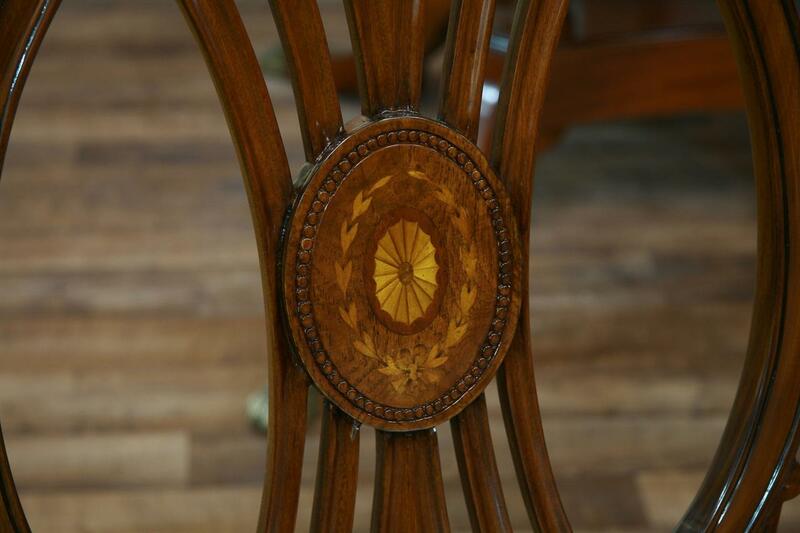 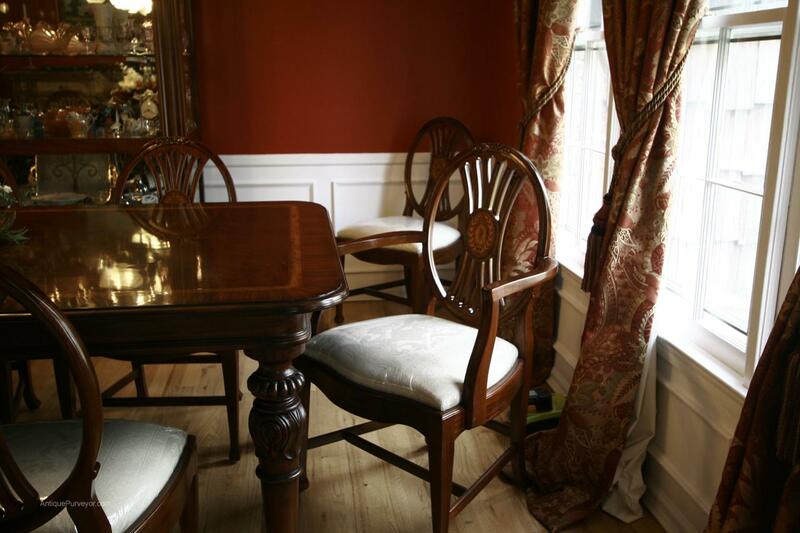 These chairs were copied from true Flint and Horner dining room chairs which we acquired during an estate sale. 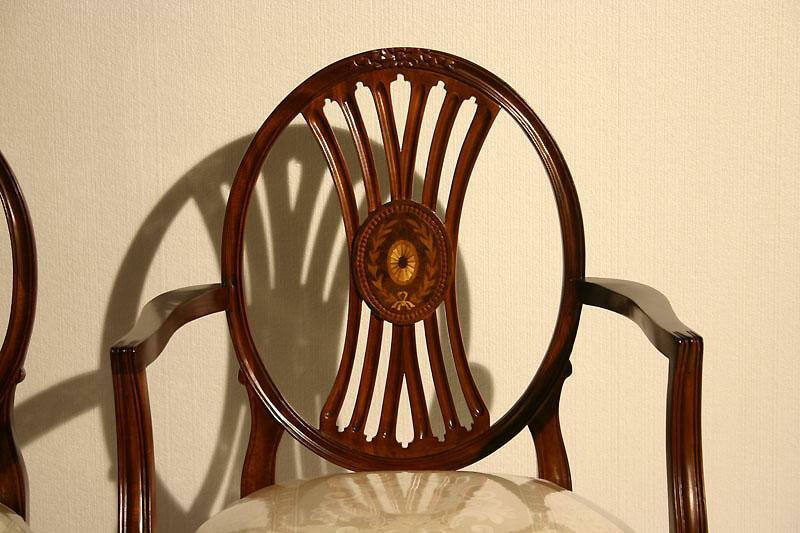 Our version of this chair is slightly different in the seat area. 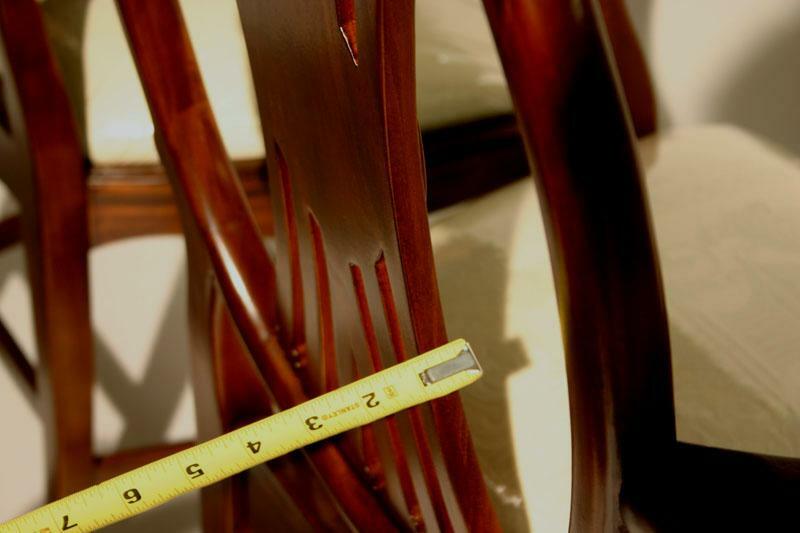 Our chair has slip seats so changing fabric is easy and cheaper than a fully upholstered chair. 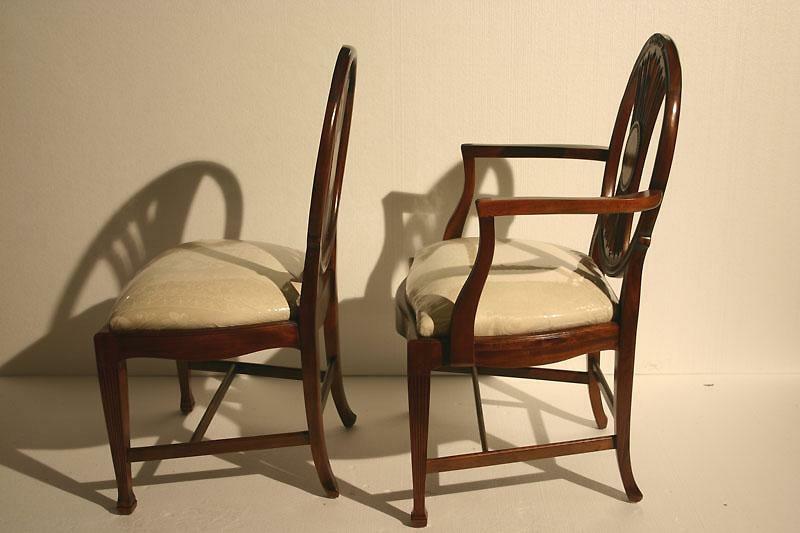 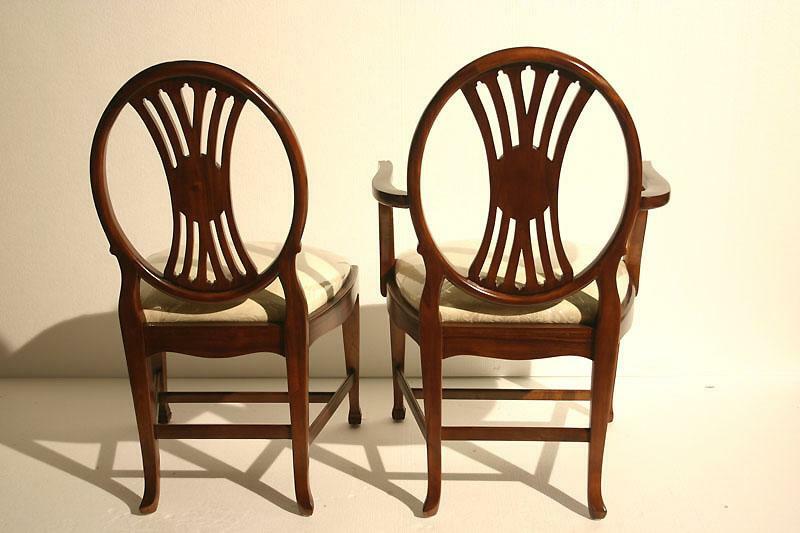 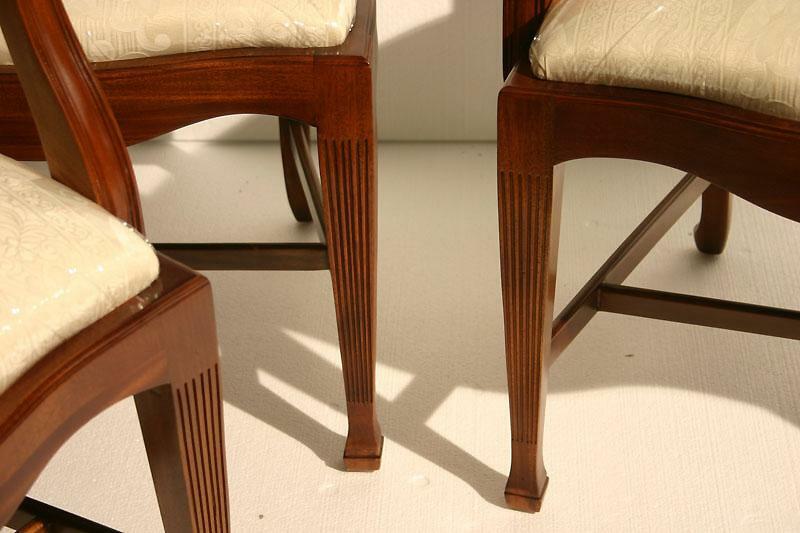 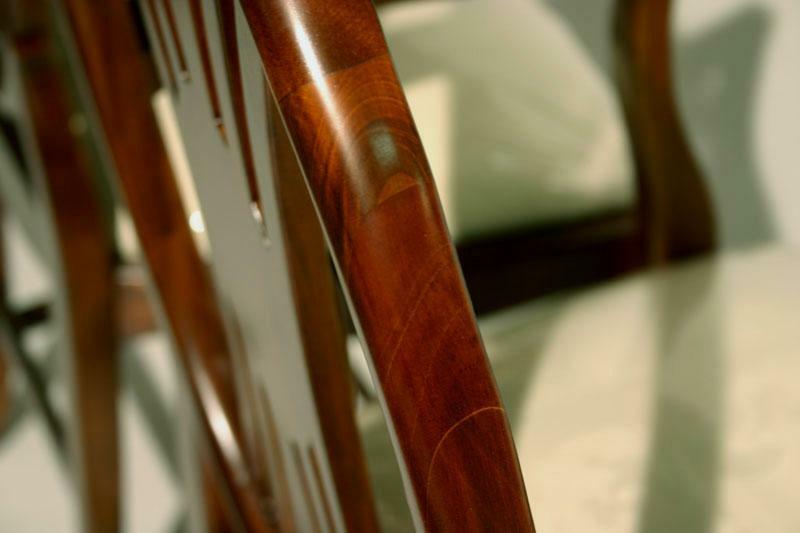 They are solid mahogany and dollish chairs perfect for smaller tables in the Hepplewhite and Sheraton styles.